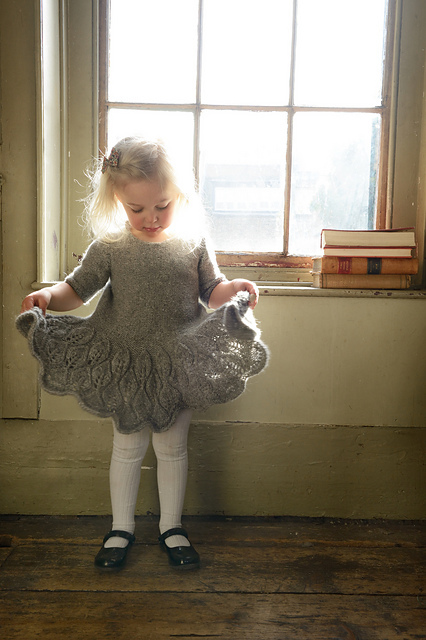 Christiane will give away two of her incredible patterns to two readers of this blog. Please comment on this post and tell us which of her designs you would cast on right away! I grew up in Germany and used to live in Switzerland and the US. Each culture had a deep impact on me and I call myself fortunate to have experienced that. The funny result of this international lifestyle is that my language got mixed up. Swiss German words, English and German all mixed together in one sentence sometimes. When I design I like to play with geometrical shapes (my math teacher would be thrilled to know that) and modular knitting. Other than that inspiration can hit anytime through anything. It definitely did NOT start in elementary school when I gave my teacher a hard time with my free spirit. I just couldn’t wrap my mind around why a 9 year old should sew an apron. In high school knitting became very hip and we knitted in school secretly underneath the desk during class. At our graduation we even had a cat walk with all our hand knitted sweaters and named them like: the Math Sweater, the History Sweater… I loved the fact that I was able to create my own clothes, my style. I never used a pattern. I think that’s when designing started. My first ever design was a sweater for the graduation cat walk. This was long before there was Ravelry or other venues for knitters existed. 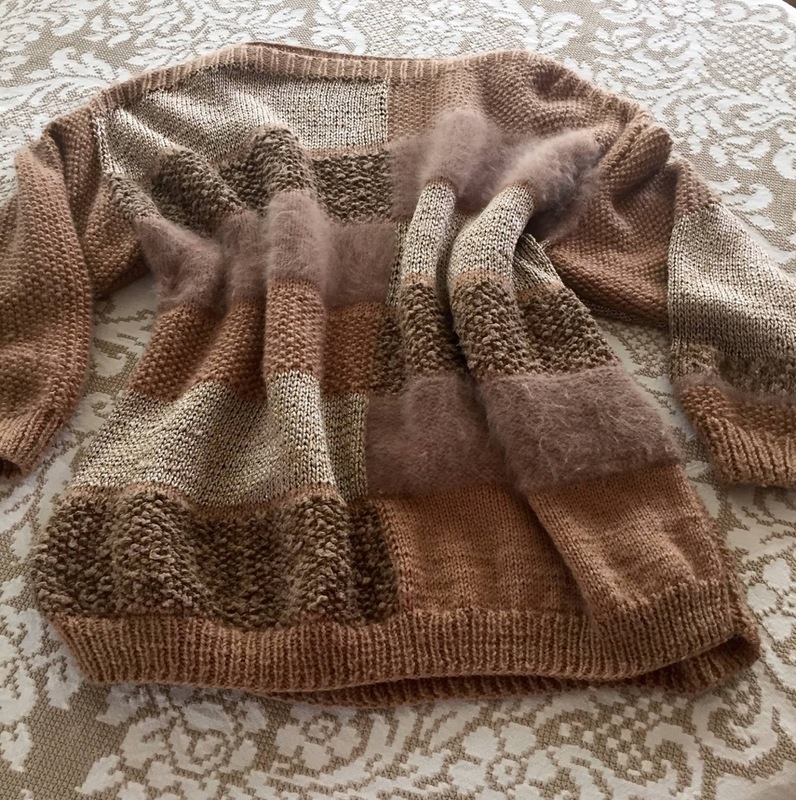 During this time I designed a sweater for my mom and she still wears it. I recently took a picture of it. Very 80ties…. 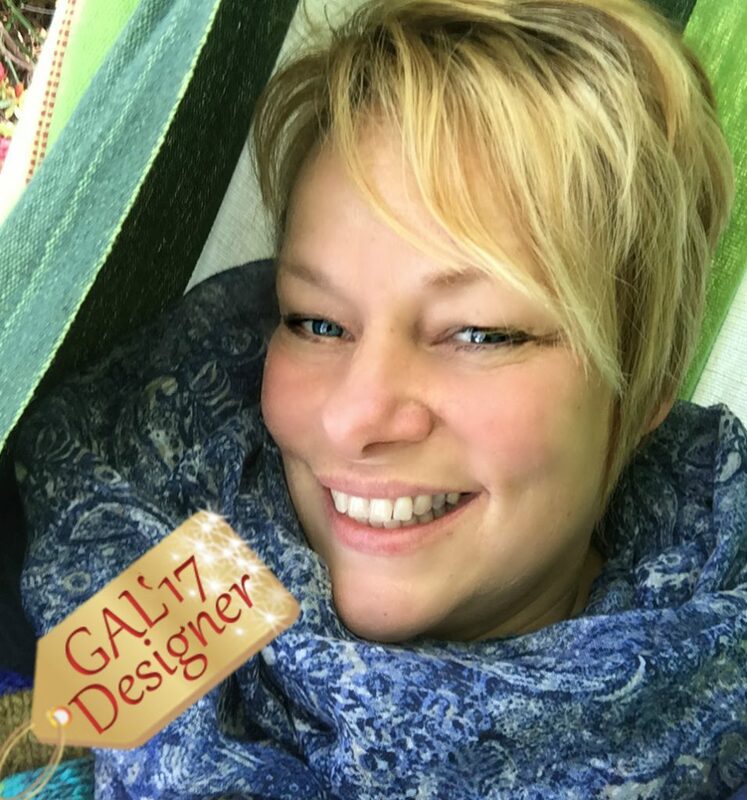 I like to design for the knitter who wants to be surprised by an unusual construction or technique they’ve never tried before. Secondly it should be wearable 😉 Recently, I started to think more about how slow fashion and knitting work together. They are a perfect match and I aim to move in this direction. 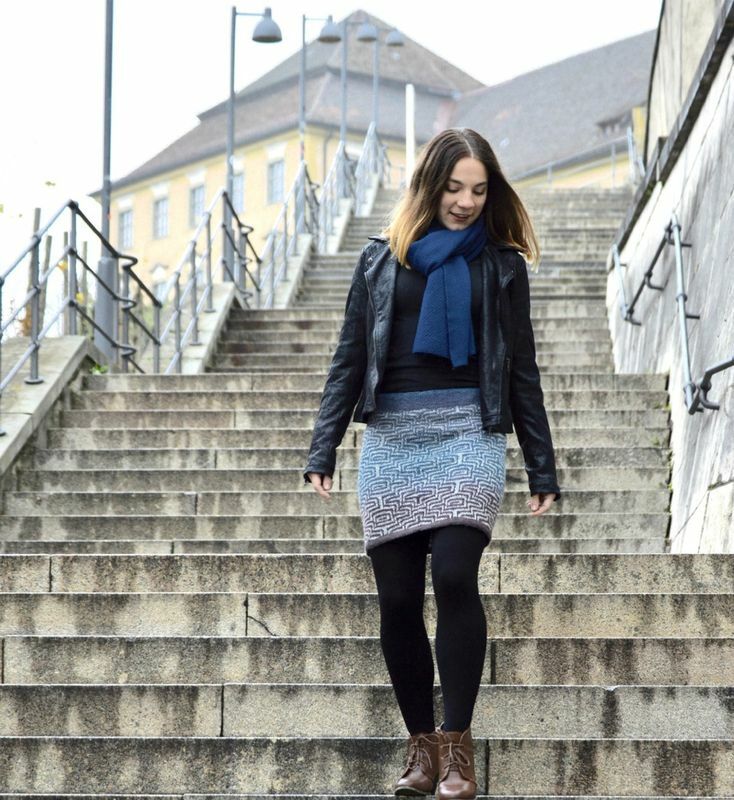 Right now I am about to publish a new design ZINA Skirt. The pattern writing is almost done and then testing follows. You will find it in 2 – 3 weeks in my Ravelry shop. The best gift a knitting friend gave me was a sketchbook and a big box of colored pencils. This way I am able to sketch my ideas and they don’t get lost. During the design process I use a notebook to write down everything related to the design. Kari-Helene Rane caught my attention because she dares to design dresses. Not many designers do that since it’s hard to make them look fashionable. Kari-Helene can pull that off with her Maddie Dress and Icon Dress. A design for a Mystery KAL and a Sweater design….. 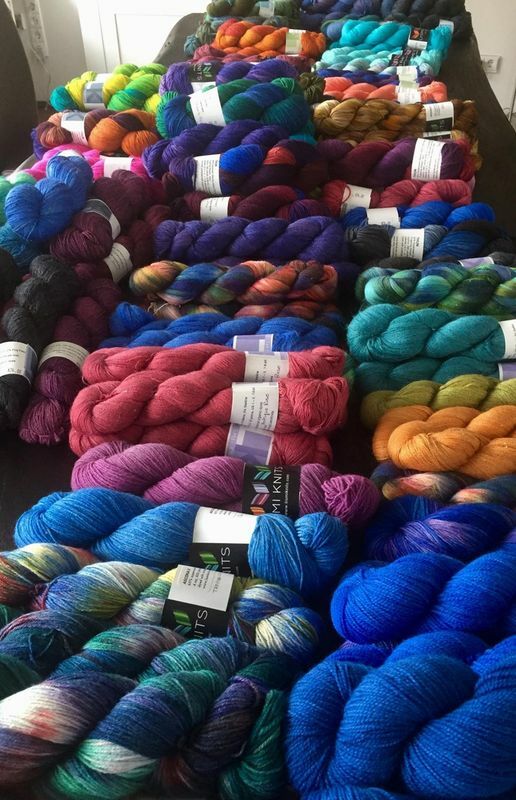 I want to thank wonderful people of the knitting community! Wherever I moved, they made it easy to settle in and find a home away from home. I call that knitting without borders! 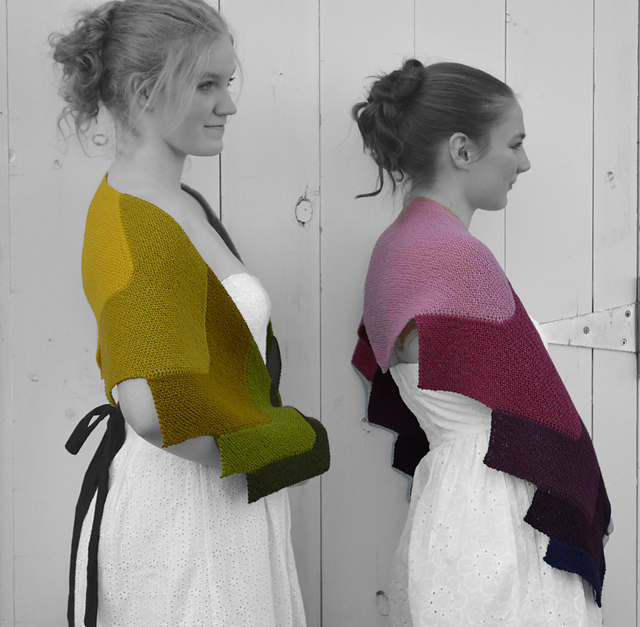 As an addict to shawls … and as there are so many stunning patterns for shawls … it’s very hard to decide. But I think … it would be either Return or Esther, which I will not resist very long. Thank you mrsMumpitz for guiding us through the world! It was my pleasure! I really am happy to discover so many talented colleagues out there and Christiane’s designs all landed on my favourite list 🙂 I hope I’ll find the time to make some of them at least! Congratulations! You won one of Christiane’s patterns. .I sent an email with the coupon code to you now. Happy knitting! Oh, you have so lovely designs! 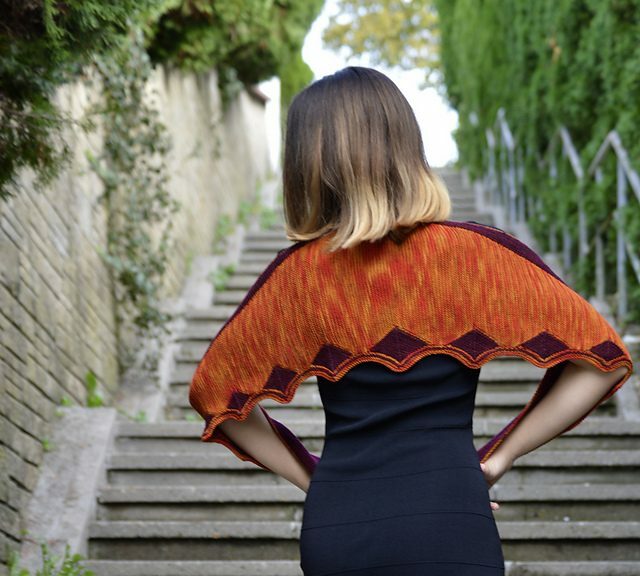 I like the farfalla shawl and the morning breeze, so beautiful!